Here’s the beginning of Pope Francis' letter for Vocations Sunday (last weekend). For the whole letter, click here. In honour of Vocation Sunday tomorrow here's an excellent post from DVO app. March 1He has saved us and called us to a holy life—not because of anything we have done but because of His own purpose and grace... 2 Tim 1:9 (NIV)Vocation - Part 1What's your calling? Growing up in church this question was bandied about almost as much as "how are you today?" The urgency of the way in which it was always asked made me nervous. What IS my calling? Am I called? Am I one of the few chosen? Are we all chosen? What if I'm not chosen? What if I'm just normal? I want to change the world? How will I do it? What will I do? Will I succeed? Will I fail? Am I the ONE? 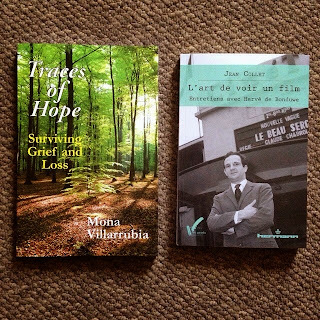 Yesterday I received in the post 2 recently published books, one by my sister, Mona Villarrubia (née Hayes) and one by my film mentor, Jean Collet, whose inspiration, influence and friendship lead to me teaching Film Studies after I came back from my 4 years study in Paris from 1995-99. I look forward to reading both in the coming weeks /months. 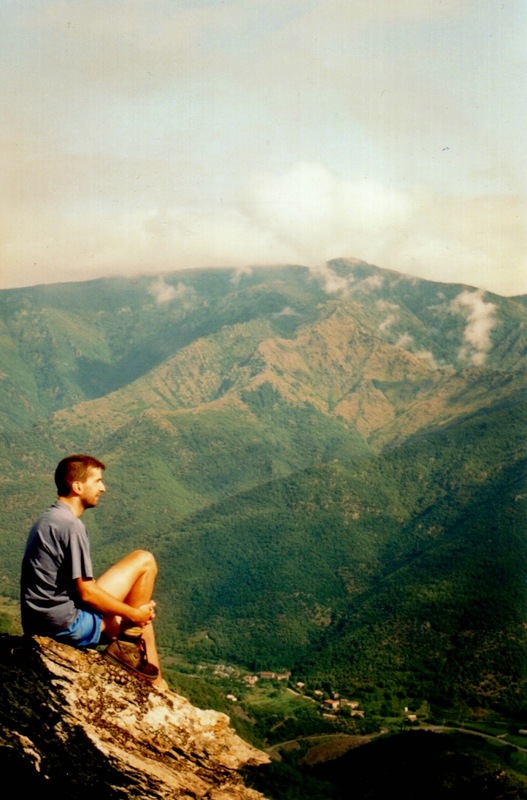 An unforgettable day back in 1997 with my good friend Frère Henri in the Cevennes (S. France, where we were staying for hiking and cycling in the area) on top of Mont Aigoual after a long hike to the top. During the climb he'd put me in front to lead the way for the first time in our 7 years of summer hiking since my Noviciate where he was the Assistant Novice Master. Sounds banal but this gesture had a profound effect on me during the climb and I got very emotional. Someone was putting their trust in me in a way that no one else had done before. On top of this the views around me were so beautiful. A couple of times in the climb I had to stop and sit down as a wave of emotion broke over me. One such break, with Mont Aigoual itself in the distance. Just found the below article about the need to be vulnerable on one of my sister’s blogs (Mona Villarrubia - Christianity in the 21st Century) and I think it’s quite wonderful.